We've been working on several designs for iPad cases: a "Full" and a "Slim". They are made to look and feel like a fine antique book with raised bands, gold tooling and sumptuous materials. 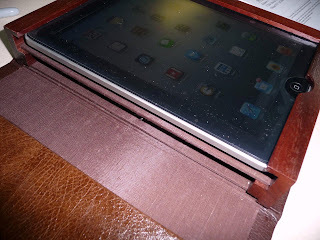 The Full features a hardwood frame slotted for access to ports and switches, with a slideout tray underneath for storing earphones, cords, stylus, etc. 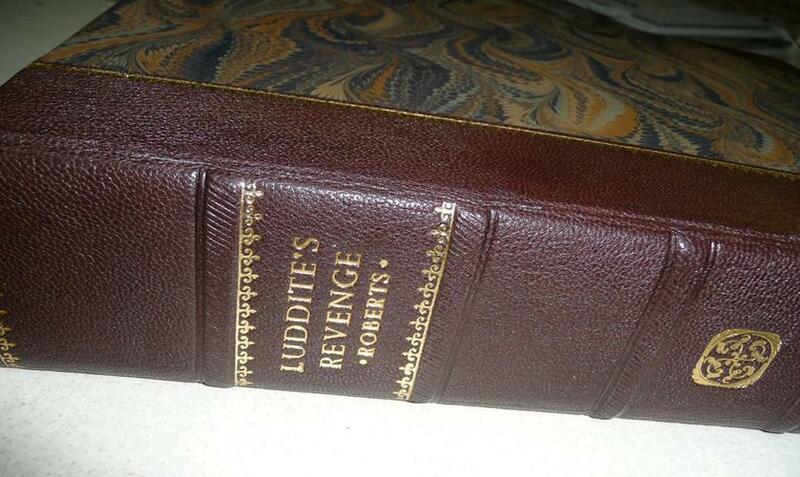 It's the size of a large book and (compared to the iPad) fairly bulky. 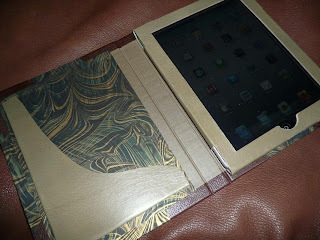 The Slim is no larger than many iPad cases on the market but beautifully made of fine leathers and handmarbled papers. 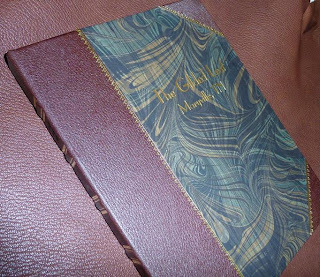 At present (meaning until we get a large order from StuffMart and farm it all out to China), every case is built to order, with a variety of woods, leathers, and decorative papers available. The two pictured feature deep brown morocco leather spines and corners, the Slim's leather tray fashioned from olive-colored kangaroo. 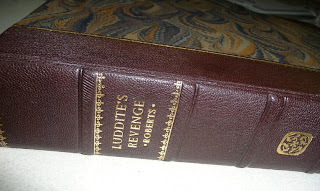 They can be titled however desired, personalized with name, company, or ostensibly clever phrases like "Luddite's Revenge" pictured above.